List of North Carolina schools offering degree programs in nursing, RN-to-BSN, RN-to-MSN, LPN, CNA, and more. 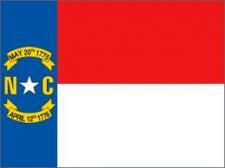 North Carolina (NC) offers a wide range of educational opportunities for anyone pursuing a nursing program. It is also an attractive state for nursing students of all ages, and boasts exciting communities to explore, a diverse culture, and dozens of activities to enjoy year-round.